Perfect for our wedding!! Our exit was beautiful and our pictures were amazing! We used these for my daughters wedding and they were just what we expected! Great product! Exactly as described! Fast shipping. Would definitely order again. Just what we were looking for!! Just what we were looking for!! These gold sparklers were perfect for our wedding exit!! The 20" length offered the perfect amount of sparkling time for our guests (about 150 people) to all get fired up and organized while we got ready to walk out. 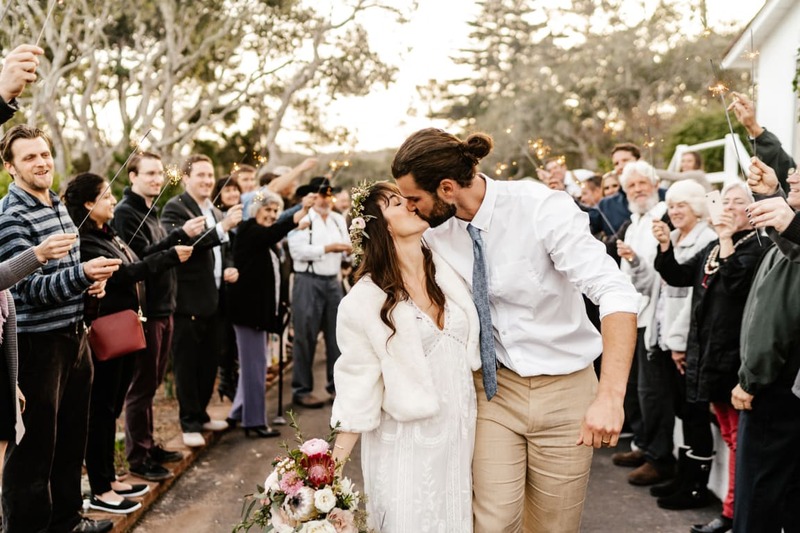 Our guests were crowded into a small block outside of our venue, and we felt that, after seeing pictures, the 36" length would have been too long, and maybe even a bit unsafe in such close quarters. Recommending this for all weddings! Recommending this for all weddings! Great that it has a long burn time, because it is needed for my wedding send off! My friend had these exact ones for her send off, and they were gorgeous. Burned long enough for us to light one another's and take some pictures. Beautiful. I would buy a smaller size next time. I would buy a smaller size next time. They were longer than I thought.. I haven't used them yet so I don't know how they burn. The delivery was in a timely manner. I would recommend this product! I would recommend this product! Excellent quality and super quick delivery! These were perfect for my daughter's wedding sparkler send off! Quick, easy and affordable! Can't go wrong with this product!! I bought these for my daughters wedding reception. They burned bright and longer than I expected. Plenty of time to get them all lit and the wedding couple to walk the gauntlet to their get away car. The pictures were beautiful. Tip: we bought cheap bulk lighters so almost everyone had their own lighter. These were perfect for our send off! They arrived quickly and were beautiful! Fantastic! Just what I wanted for my wedding!! Awesome sparklers and quick shipping! I would buy sparklers again from Superior Celebrations!!!! I would buy sparklers again from Superior Celebrations!!!! 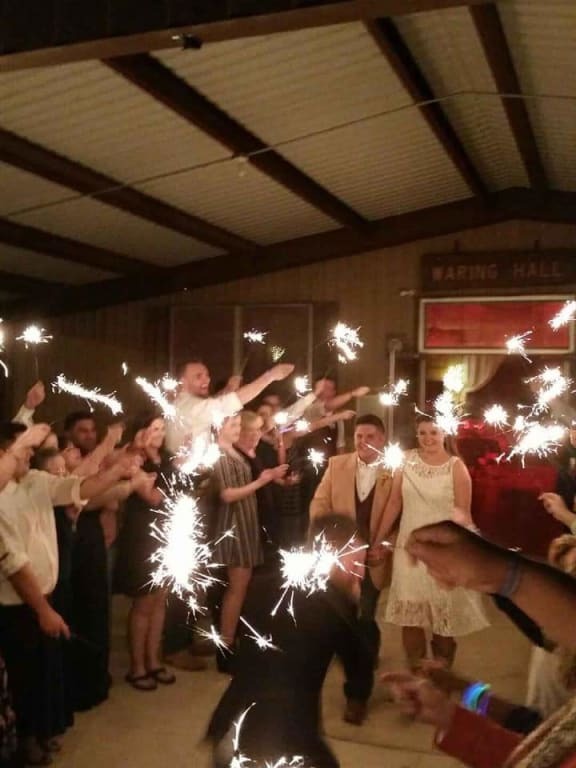 The sparklers were a hit at the exit of a wedding event in Fairview, Texas this past weekend. Thank you Superior Celebrations, I loved them! Great send off for my son and his new wife! I bought these sparklers last minute for my daughter's wedding. They came quickly and were a huge hit for the send off! I would recommend this company! I would recommend this company! Easy to order and quick to receive! These were perfect for our wedding! These were perfect for our wedding! They were a beautiful ending to our perfect day! We used these for the exit to our Wedding. It looked beautiful! It was just what we needed to add a last sparkle to the wedding! I would recommend this product without hesitation! I would recommend this product without hesitation! product as described, fast shipping! product as described, fast shipping! Affordable, fast delivery and very pretty! Affordable, fast delivery and very pretty! Used it for our wedding and it was a dream! They came perfectly on time and our 3 yr old son enjoyed a lot with the sparklers. Long Burning and Bright!! Long Burning and Bright!! Perfect! Used for the send off at my daughters wedding. We purchased sparklers for our wedding and they worked out PERFECTLY!! We got some awesome videos and photos. They arrived in a timely manner and were packaged very well. I would HIGHLY recommend!! Made a sparkling send off ! Made a sparkling send off ! We used these at the wedding of my daughter as the "send off" activity. The sparklers lasted as stated and were very nice in pictures. Very pleased with the product. We got these for our wedding and it was fantastic. They lasted. Guest loved it. We used these at our wedding. They look great in photos & didn't burn too quickly. I would definitely buy again! Your company was the most inexpensive that I found & definitely worth buying. They were nicely packaged and arrived quickly. I highly recommend. BUY THEM. NOW! BUY THEM. NOW! I don't know what made me click on this link first when I was searching for sparklers but I'm so glad I did. I bought the 20" and the beautiful gold sparkles were super bright and lasted a little over 2 minutes! A guest complimented the sparklers and wanted to know where I got them because the ones she used at her party were nothing like these. Plus you get 72 for $30 AND next-day shipping! If it weren't for the thousand+ reviews, I would've thought it was a scam. The next-day shipping is no joke! I have some left over and can't wait to find a reason to use them. These sparklers lit up like a runway for our grand exit! They were delivered quickly and worked so well with or venue. I highly recommend them and would definitely purchase them again. A clean and easy way to celebrate. Keep high overhead to avoid direct contact. Any celebration to add extra fun and finales. These arrived extremely well packaged and in top condition in just a few days .These exact same sparklers were a far better price than other websites. I had a question for them and received an overnight and wonderful response. Can't wait to use these- they have great reviews and be a perfect wedding send- off! Perfect touch for our wedding! Perfect touch for our wedding! 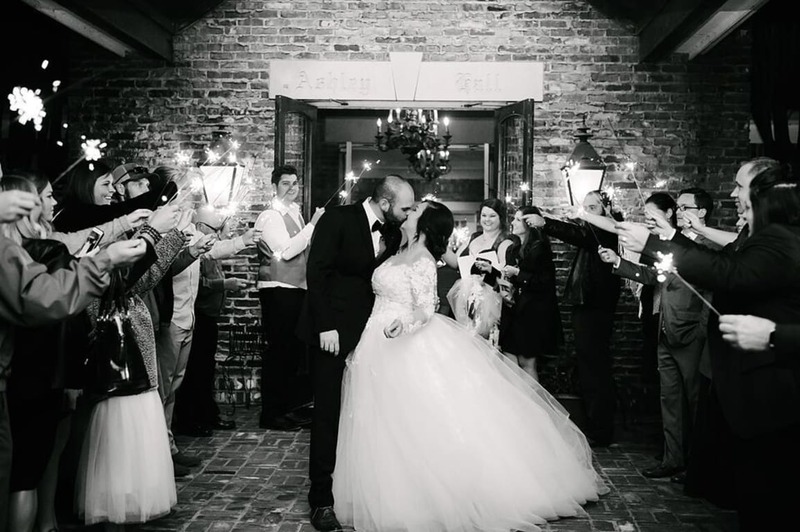 These sparklers made our grand exit from our wedding perfect! Love this product! So amazing! Love this product! So amazing! We are going to be using these for our wedding this Sunday. So excited. Tested a couple out and they were brilliant. Burns for about 2 minutes as noted. So happy! Arrived super fast. Could not have asked for a faster delivery. All in great condition as well. Best Place for Wedding Sparklers without question! Best Place for Wedding Sparklers without question! Great price. Sparklers burned beautifully long enough and delivery was extra fast. Highly recommend Superior Celebrations! Lasted longer than we thought! Lasted longer than we thought! Bought these for our wedding and did a soul train dance down the sparkler lit path. They lasted way longer than expected! We got about 4 nice laps with all our guests cheering. Lots of fun! Twoneeeks before my daughters wedding we realized we hadn't gotten the sparklers for thei "sparkler exit". Oh no right? Well after searching amazon and some local stores in Phoenix I stumbled upon Superior Celebrations. Although time was tight and they were located in Florida and despite the storms happening I decided to order from them as their pricing was unbeatable and delivery time was to arrive on Thursday just 3 days before their Saturday wedding. They didn't disappoint. The shipment arrived as promised and they were "Spectacular". Everything was beautiful. Easy to light and they made the end of the wedding beautiful after a stormy Phoenix day. Highly recommend. Thank you Spectaular Celebrations for making my daughter "Sparkle". Delivery came as promised despite storms raging across the country. Received the order on time and was happy with the quality. Used this product to wish the bride and groom farewell! It was great fun! The kids and adults all loved it. Excellent customer service. Excellent customer service. Just what I needed for an outdoor wedding. By Mom From Newnan, Ga. These sparklers were awesome!! They lasted about a minute and a half and they were super long. Perfect for a sparkler exit!! They came in fast too!! It had a long handle to hold on to. They stayed lit for a long time and were just beautiful for my son's wedding. Very happy with this purchase! They work great and lasted long enough for a group picture! Great product, worked well for my wedding and made it feel so magical! I would suggest to get the good lighters because they do take some time to light up! Fast delivery, great product! Fast delivery, great product! We ordered kind of late for our wedding, but they got here on time! They were PERFECT for our exit. Lasted long enough for everyone to light, us to come out, take pics, exit amid a path of light (HIGHLY RECOMMEND this kind of wedding exit, it was GORGEOUS! ), and still were sparkling as we watched in the rear view mirror and drove away. Made our perfect day even more perfect! They arrived when they said they would and all packages were in great condition, no damage or duds! Would definitely buy again! Would definitely buy again! Bought sparklers for daughter's wedding. Very fast service! 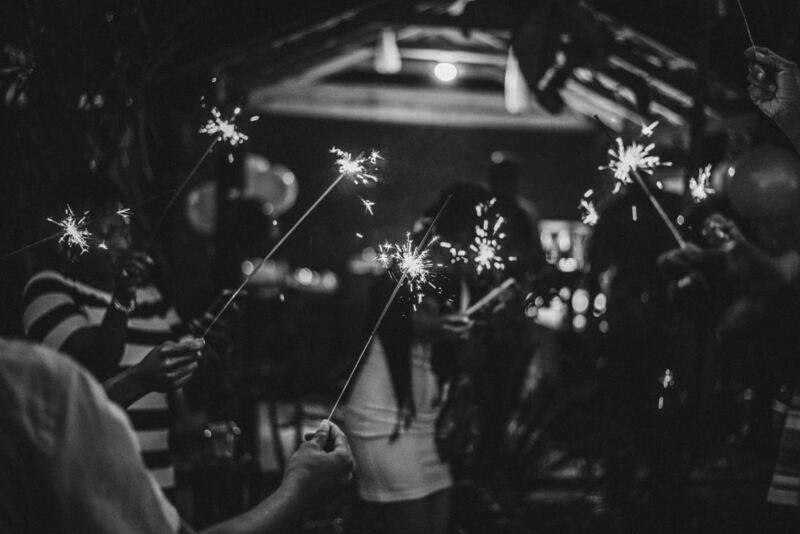 Used these sparklers at my wedding and they looked spectacular. Perfect for what we needed! Perfect for what we needed! Perfect for our wedding send-off! Fast shipping and SUPER affordable price! FAST, free shipping was what prompted me to go with superior celebrations over competitors. Haven't actually used them yet as they were purchased for a New Years Eve wedding but can't wait! We will be using the sparklers as a send off for newlyweds. November tends to be damp, if not downright soggy, in Seattle so I waited until we had a goodish drizzle to test two sparklers. Both stayed lit, with plenty of sparkle, and ample time for the photographer to capture the moment. Kudos! Sparklers arrived in good condition. This product is amazing! This product is amazing! Ordering was easy! Shipping comes on-time and there is no problem. We lighted up the sparkler when it was drizzling and it still light up for a long time! 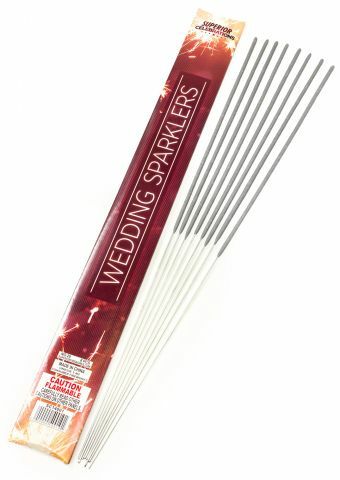 I purchased the 20 inch gold sparklers for my daughter's wedding. Ordering online was easy and the price very reasonable with free shipping. The sparklers arrived in two days as promised. The night time send off at the wedding was beautiful and enjoyed by all of the guests. I would definitely order the sparklers again and other products. So in love! So in love! The prices were great and the delivery time was amazing. Can't wait to use these sparklers at our wedding! Thank you! Perfect for our wedding! Perfect for our wedding! Ordered on Monday for our Friday wedding and they arrived on Wednesday. We were so thankful we could get these quickly! They were perfect. Quality product. Would purchase again. Using for wedding send off. These worked great for my son's wedding. Sparklers perfect for our wedding! Sparklers perfect for our wedding! Product was exactly as expected. The price was good. Would buy these again for other celebrations/holidays. Affordable & arrived just as described! They made for fantastic photos.